1.1 Why do Almost 60% of All Mortgages go Through Home Loan Brokers? 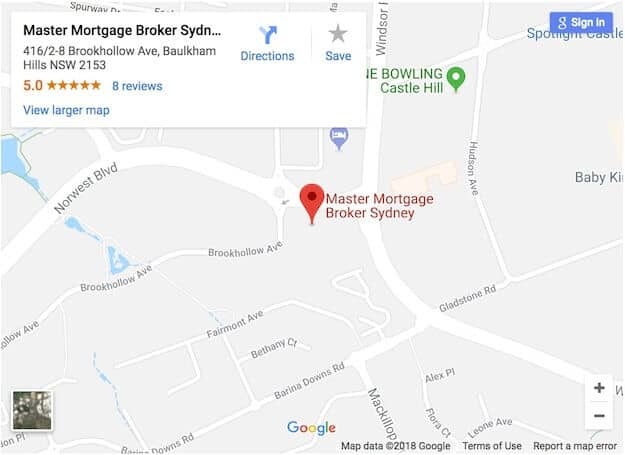 1.2 Why Use Master Mortgage Broker Sydney? 1.3 Are You Covering All the Angles? 1.4 What Does A Mortgage Broker Do? 1.7 What can You Expect from us? Master Mortgage Broker Sydney will be happy to provide you with a FREE mortgage quote. As a Sydney mortgage broker, we cover all of the major banks, second tier banks and most of the non-bank lenders. Thus, rather than simply restrict your choices, you can access and select the right offer for you from a multitude of possible choices without you having to do all the time consuming legwork. Why do Almost 60% of All Mortgages go Through Home Loan Brokers? Why potentially leave thousands, maybe tens of thousands of dollars on the table. Most every day Australians are not home loan experts and often mentally wrestle on where to start and often just give up and just stay with their regular bank, because it all becomes too hard. That’s where we as home loan brokers will help by saving you the time and effort of doing the research, organising the what’s required and applying for your home loan, all at no cost to you. If you’re looking to find the best home loan brokers Sydney has to offer, we can show you how to get a home loan deal that won’t leave you going to bed wondering whether or not you’ve shaken all of the best apples off the tree. Having been established in the lending business for over 18 years as mortgage brokers we strive to look after our customers needs as if they were our own. Whether you’re a first home buyer, property upgrader, refinancing for a better rate, debt consolidating, property investor or looking for a SMSF loan our philosophy is to deliver true value service and relevant information. We offer our services to you totally free, because we will get paid commission by way of the bank or mortgage provider. Having said that we’re happy to divulge to you what commissions we’re receiving. Our business motto is to put your interests first and ours second. These days we are obliged by strict rules to let you know just what commissions we will be obtaining and from whom. 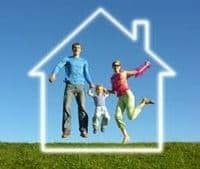 Why Use Master Mortgage Broker Sydney? 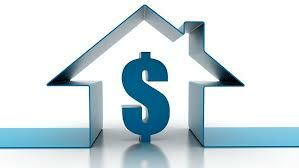 Effectively grasping the majority of the relevant requirements for a home loan and the facts that are needed to intelligently analyze the hundreds of loans available in today’s market can at times be all too difficult. This is where a seasoned financial broker can not only save your valuable time, but they also know where to drill down to get the best deal. 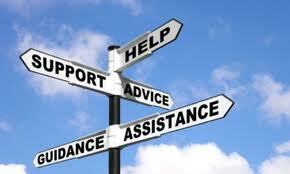 Additionally, a good loan broker will take the time to find out what your true needs and desires are. They then have the electronic software capability to find a home loan that matches those needs and desires . First off, there are lots of different sorts of home loans on the market, and every single one of these has several different specifics and technicalities which can be fairly challenging unless you’re in the mortgage business. As professional home loan brokers in Sydney we will efficiently search through all the myriad of information and facts, narrow the selections down to a short list and carefully explain the different types of deals. Are You Covering All the Angles? As soon as the initial information and facts on the relevant available loans are sorted, it is then a matter of filtering the material down until such time as you get to the option you like. It can at times be hard to digest many of the legal conditions in relation to mortgages. 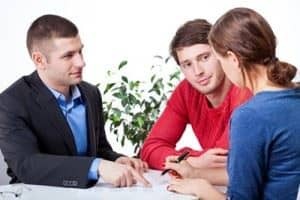 Therefore, having a street smart financial broker working for you can be crucial to condensing as well as translating into plain English for you the legal aspects belonging to any mortgage lenders offer. mortgage product to fit their particular personalised requirements. When essential, your allocated mortgage broker will connect with Conveyancers as well as Real Estate Agents to help expedite bank loan applications if there is a property purchase involved. To begin with we identify everything you will need upfront in the way of requirements for a home loan in order to facilitate the loan application process. This important step ensures that the chosen mortgage lender will be able to accelerate the mortgage loan approval process. Following that, you will experience a non-problematic transaction simply because as experienced mortgage brokers we are able to control the application process from the start to all the way through to settlement. During this process we continually keep you updated along each step of the way. This allows you to get on with other important aspects of your life without having to constantly look over your shoulder. Let Master Mortgage Broker Sydney Do The Heavy Lifting For You. Based on our experience and street savvy we instinctively know when to act as a go-between regarding the numerous entities involved in the purchase process. Every day during the property transaction procedure there are many interactions that happen among all of the groups or individuals involved for which the loan applicants aren’t necessarily tuned in to. A number of these chats are about the way the lender may need additional information to move forward or possibly how a title offered to them by way of the vendors conveyancer may have particular details that perplexes them. We as a matter of course will take care of all of these factors as your loan broker in order to not stress you with each and every small detail. That is the big asset to working with the right loan broker. There’s a lot of responsibilities a first time home buyer, home up-grader or home loan refinancier undertakes, and never having to cope with every single issue that might surface within the loan application process can be a bonus. Even more importantly, on your behalf we do what it takes to get the deal done, even it means working outside of “bankers hours”. Even though our expert professional service does away with the necessity of your involvement for every single little modest issue that occurs during the mortgage loan process, you’ll still have fast and easy direct access for virtually any questions or possible issues you may have, if and should they occur. As can happen in any industry, in some isolated instances mortgage brokers have genuinely come under scrutiny lately, and with justification. There have been a handful of Australian mortgage brokers whose dealings happen to have been less than ethical at best, not to mention somewhat prohibitive at worst. With that said, the Australian Securities and investment Commission (ASIC) have not too long ago taken over the authority of the home mortgage industry, including both financial institutions and financial brokers. This approach presently calls for a mortgage broker to become licensed, or function as an Authorised Credit Representative under an acceptable license holder. While maintaining acceptable educational criteria on an ongoing basis, the new regulations also calls for mortgage advisors to operate their businesses according to rigorous ethical guidelines. It doesn’t take Einstein to figure out that when you go directly to mortgage lenders they’ll tell you everything they want you to know about their products. Nevertheless, from there, how do you compare what they tell you with other competitive products? They’re not going to tell you what the bank across the street or down the road is doing, will they? Even if you stay at home and phone around, are they really going to tell you what their best rate is? Or, are they just going to tell you what they think would be a good rate. On the other hand a professional broker who has their finger on the pulse of the market already knows what tolerances each lender has when it comes to interest rate discounts. Unquestionably, with our long term experience and street smarts we can negotiate the final interest rate since we work with a considerable amount of mortgage applications at any one point in time. As independent mortgage brokers we can vigorously negotiate the interest rates on your behalf and also with our industry knowledge can direct you to those mortgage lenders that will be very likely to supply you with the larger special discounts. 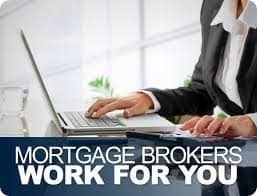 Typically the best brokers in most cases make use of a mutual working relationship with lots of lending institutions and possess accessibility to the overall decision makers themselves. This approach will improve the overall probability of your mortgage being organized faster too. Also they will work through your papers and offer the details available in an effectual style that can immediately enhance the probability of approval. Your allocated broker will provide you with instant access to an abundance of electronic data on relevant home loan information through the latest software programs, keeping you totally in touch with market developments. We consider one of the most important parts of our service is communication with our clients. The loan broker you use will be alert to ensure that you understand the different details of loan agreements and financing documents proffered by banking institutions. To sum it up, making a relationship with a skilled financial broker in financial terms can be described as an intelligent approach in relation to money and generating sensible choices. They won’t call for a payment of their services so in the quick paced financial climate that is prevalent these days it really is good business sense to choose a Sydney mortgage broker from Master Mortgage Broker Sydney who will treat you and your mortgage application at the highest professional level. Interested in paying your mortgage off faster? How Do Low Doc Loans Work? Which suburbs are currently the most sought-after in Australia?